John Torrey Windrim was born in Philadelphia in 1866. His father, James Hamilton Windrim, was a successful architect, well-known for his execution of the Beaux-Arts classical revival style. Windrim’s architectural training occurred solely in his father’s office, starting in 1882. When his father was appointed supervising architect of the U.S. Treasury in 1889, the younger Windrim began to take more responsibilities in the firm. The Windrim family firm, along with its associates, designed the Franklin Institute and the Philadelphia Municipal Court, as well as less ornate buildings to house the Philadelphia Electric Company and Bell Telephone. Windrim was a member of several architectural societies, and outside of his life as an architect, he served as president of the Evening Telegraph Company, and director of the Provident Trust Company, The Philadelphia Electric Company, and the Susquehanna Power Company. 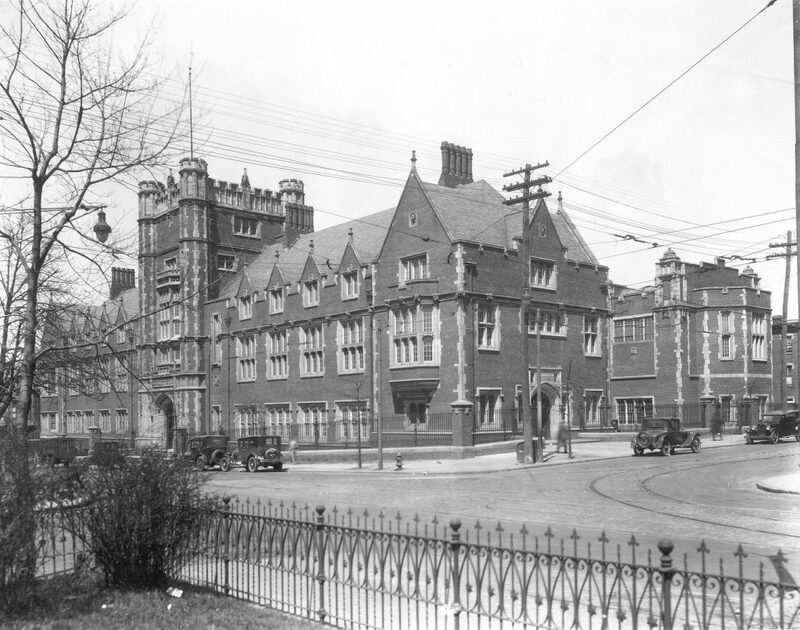 At the University of Pennsylvania, John Torrey Windrim worked with Cope and Stewardson on the design and construction of the Thomas W. Evans Museum and Dental Institute, built 1912-1915. In the early 1920s he was also charged with the design and construction for the remodeling of the residence at 4037 Pine Street for use as the Provost’s House.